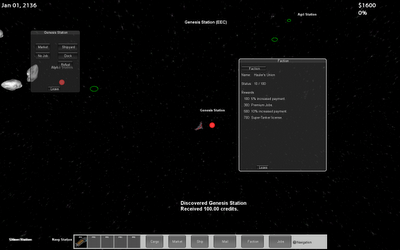 Ship purchasing actually took some doing, as I had to untie the ship models from the player and NPC's. I also had to come up with some way or storing them. 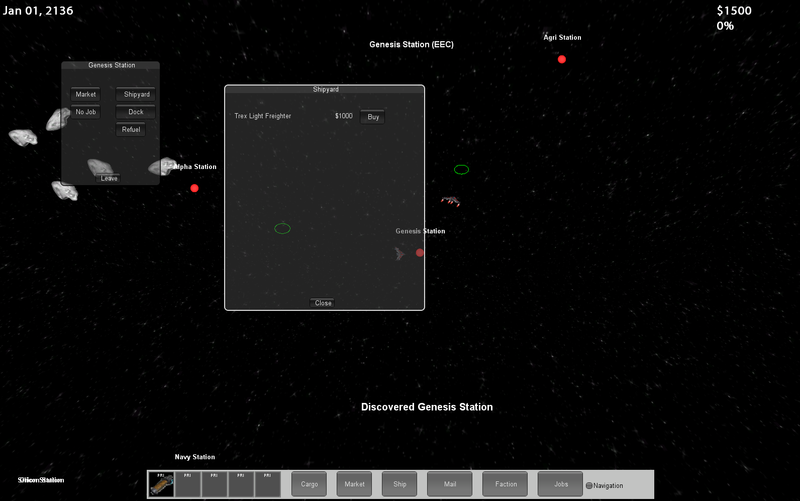 I settled on each station having a Docking Ring, where ships are stored. 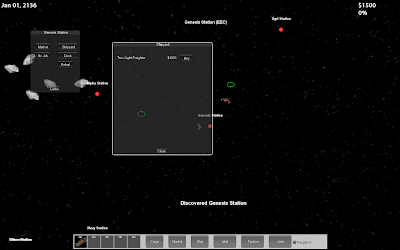 When docked, you can view all of your ships docked at that station and switch between them. The Haulers Union is the first Faction players will deal with in Stellar Fortune. Right now, they are pretty simple. For every successful job you complete, you receive 10 faction points. Once you reach the end of a tier you unlock a reward. Very familiar to most of you I'm sure. These are just some example rewards, which I will probably adjust as play-testing goes on. I may add some higher tiers with interesting, but not critical, rewards. I do want to offer some TV gameplay... you know where you are at your computer watching TV but also sorta playing? Cargo hauling jobs would be a nice fit for that, especially if I can get it on a tablet.